The study scoured news articles over a six-year period and discovered that hundreds of people died while attempting to take the perfect selfie. These don't even include those selfie-related deaths that didn't make it to the news cycle. 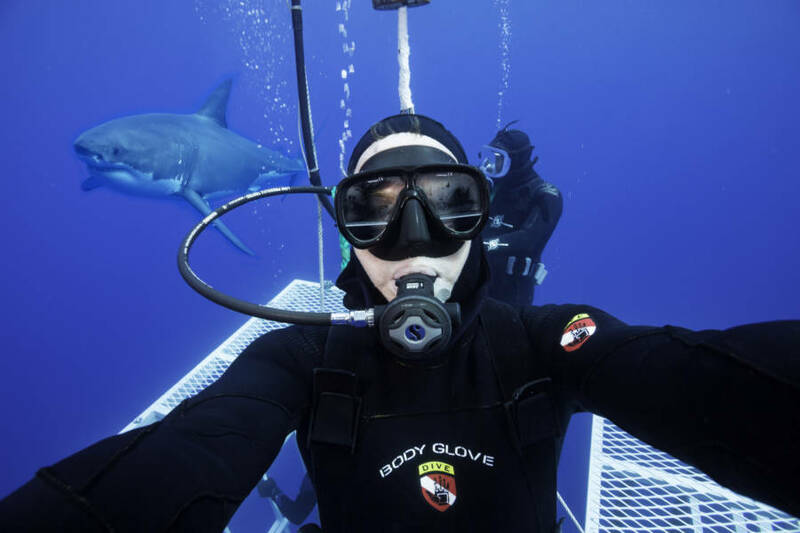 David Fleetham / Barcroft India / Barcroft Media via Getty ImagesPhotographer David Fleetham clicks a selfie with a great white shark on Sept. 1, 2015 near Guadalupe Island, Mexico. The quest for the ultimate social media photo can drive people to do some crazy things – and all for the likes. A new study has quantified just how risky people have gotten while attempting to capture the perfect selfie. A team of researchers from the All India Institute of Medical Sciences looked at news reports of selfie deaths between October 2011 and November 2017 and discovered that 259 people worldwide died while taking a selfie. The study’s findings reveal a startling growth pattern. 2011 saw three selfie-related deaths and two in 2013, but as social media sites like Instagram and Snapchat grew in popularity, so did the selfie deaths. 98 people in 2016 and 93 in 2017 were killed in an instance of “selficide”. The highest number of selfie-related deaths in the six-year period occurred in India. The country accounted for nearly 50% of all of the deaths. Russia, the United States, and Pakistan rounded out the top four and the study says that most of the deaths happened to people who were under the age of 30. 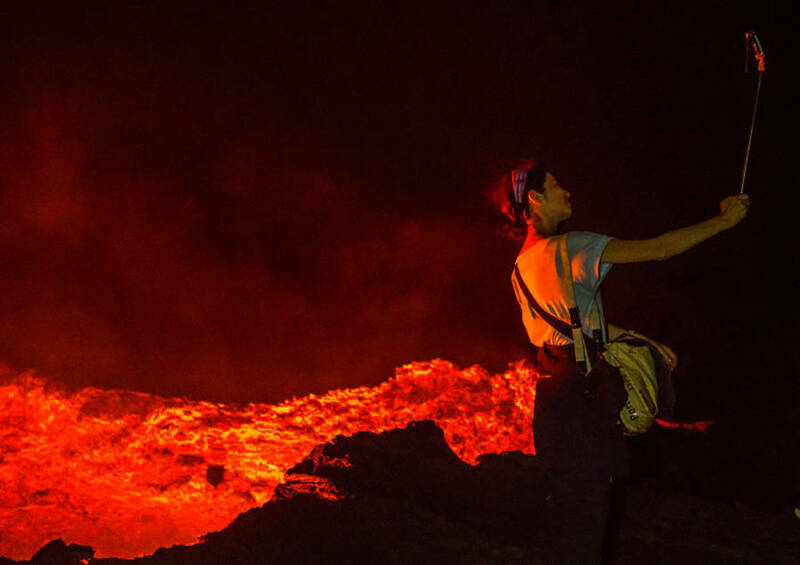 Eric Lafforgue/Art in All of Us/Corbis via Getty ImagesTourist gets close to molten lava to take a selfie in front of the living lava lake in the crater of erta ale volcano in Ethiopia on Feb. 27, 2016. 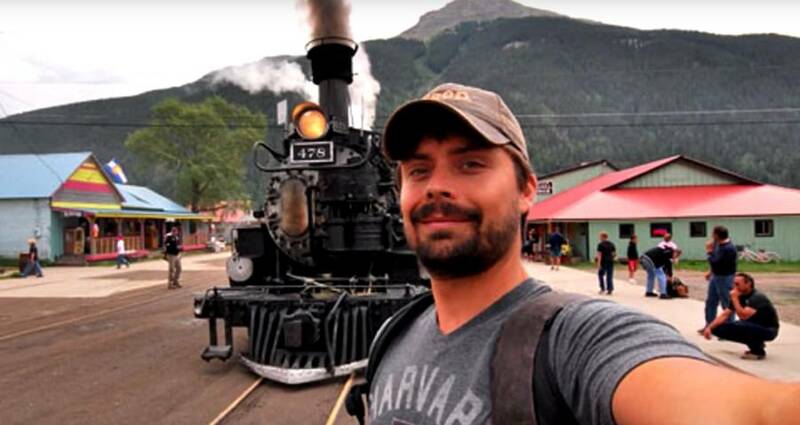 Men made up 72.5 percent of the selfie deaths. While women take more selfies, the study posits that men are more likely to put themselves at risk while attempting to take the photos. 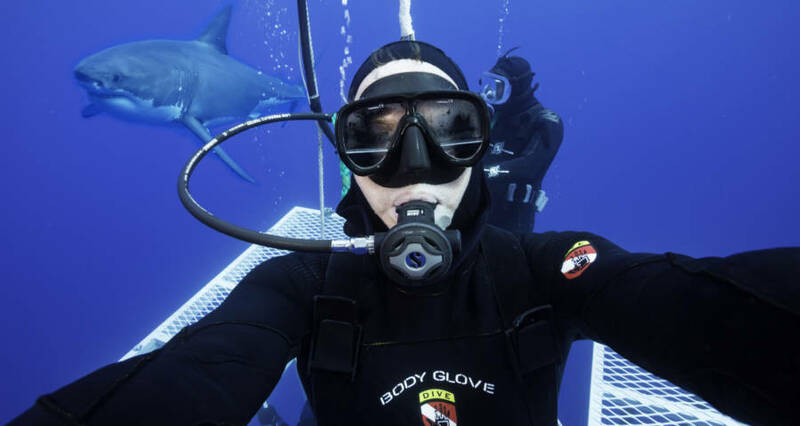 The top cause of selfie-related death was drowning, which accounted for 70 of the 259 deaths. The report defined drowning incidents as situations like being washed away by waves on a beach, taking selfies on shore while not knowing how to swim, a boat capsizing while rowing, and ignoring safety warnings about the water. YouTubeA selfie captured moments before the man in the photo died. The number two cause of death was “transport” incidents, such as running in front of a train or stopping on train tracks, which killed 51 people. Deaths by fire and falling tied for third with 48 deaths each. Other causes of death in the study were electrocution, animals, and firearms. The United States ranked number one for firearm-related selfie deaths. These occurred mostly from the photographer accidentally shooting themselves while posing with their gun. Unfortunately, the researchers feel that these figures could be underreported and that there have possibly been even more selfie-related deaths than those listed in the study. Getty ImagesA woman climbs on top of another person’s shoulders while on the edge of a chimney so she can capture a selfie. This is because the study was based on news reports. Researchers, then, believe that there could be many selfie deaths in developing countries and elsewhere that were unaccounted for because they never made it to the local news. Also, in regards to “transport” related selficides, authorities officially report the incident as a fatal traffic accident and not a selficide. 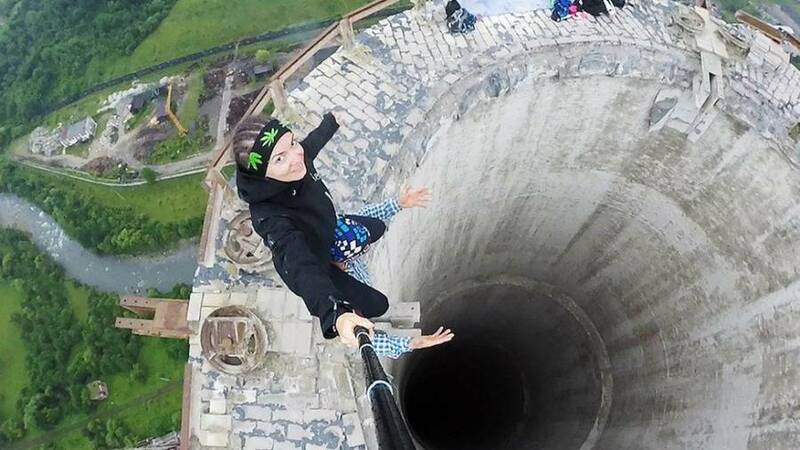 Perhaps our morbid curiosity for these selfie-related accidental deaths can serve as a warning against taking the perfect, albeit risky, social media picture. For instance in 2017, a woman fell to her death off a 730-foot bridge while trying to take a selfie. Also, in 2018, a man who had stopped along the side of the road for a bathroom break was mauled to death after he came across a bear and decided to try to take a picture with it. If you are ever faced with the temptation to walk onto a cliff edge or get close to a wild animal in an effort to capture an interesting selfie, just ask yourself this question: are the likes really worth the possibility of becoming another statistic? Next, check out these haunting photos of people just before they died. Then, take a look at these historical selfies that were snapped before selfies were even a thing.